With determination, diligence, and hard work, you can further improve your UX design skills. If you spend a few minutes of your day viewing, at least, one of these 25 best UX design tutorials, you will certainly understand UX better and become even more committed to making it an integral part of your design process. A designer may come up with the best looking online platform or app, but if users cannot easily learn how to utilize it, they are likely to abandon it. This is the reason why, as a web designer, you need to sharpen your skills in ensuring a great user experience for your websites. This is one presentation that you should not miss, especially if you are still uncertain of what career path you should take. Here, Geraud de Laval clearly defines what UX is. What makes it more interesting is that, in this presentation, he discusses the UX concept by comparing it to a car. Beyond any shadow of a doubt, there is no bad car because everything is dependent on who uses it. Still confused as to what the difference between UX and UI is? Well, Nicolas Demange presents a highly simple, yet comprehensive and truthful tutorial that sheds light on what sets UX apart from UI. This will surely help you assess your skills, much more if you are applying for a job. Andi Galpern encourages web designers to come up with a design that would be easy to use as if they were designing for their moms who are not tech-savvy. This video tutorial points out that a great user experience should be for everybody and is easy to navigate, whether one is tech-savvy or not. It also covers an introduction to the basics of a good UX but focuses more on proximity, continuity, similarity, figure/ground, otherwise known as the Gestalt principles. #Coming up with an effective UX design may be a tedious task, but teaching how to create one can be even more complicated. 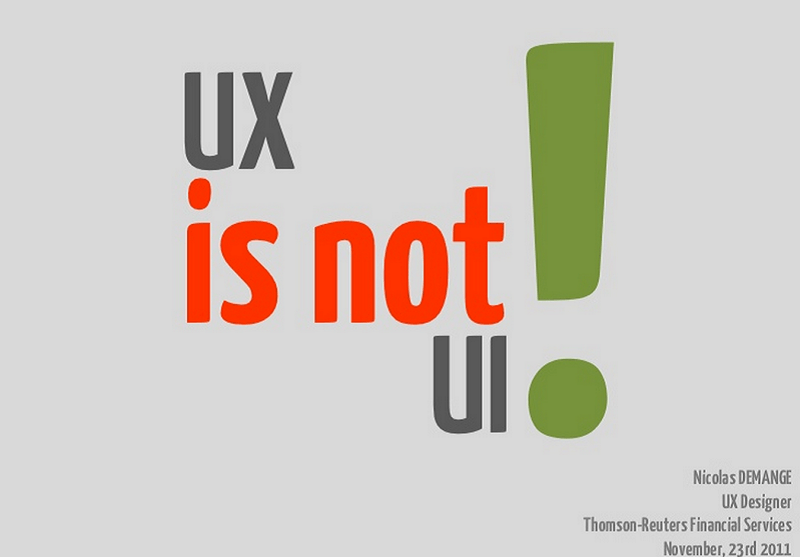 However, this SlideShare by Christina Wodtke will show you that sharing your knowledge on UX design is not that complicated at all! 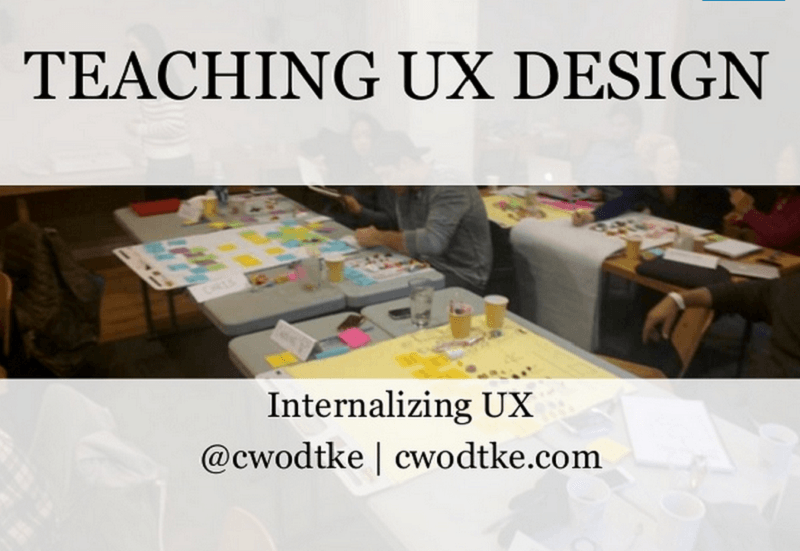 Christina makes teaching UX not only interesting but convenient, too, as she provides a complete workshop model for each day. Apart from the way the day is supposed to be designed, it also has students’ inclination and exercise design. If you are the type of UX designer who is not afraid of sharing what you know to the new ones, then you should seriously look into this in order to help create more effective web designers. Are you planning to have your own business website, or already have a current website that doesn’t deliver the results that you want? This tutorial will enlighten you on the importance of UX design on whatever type of business you engaged in. After all, a poorly designed UX can push some clients away which, obviously, results in the drop of profit. 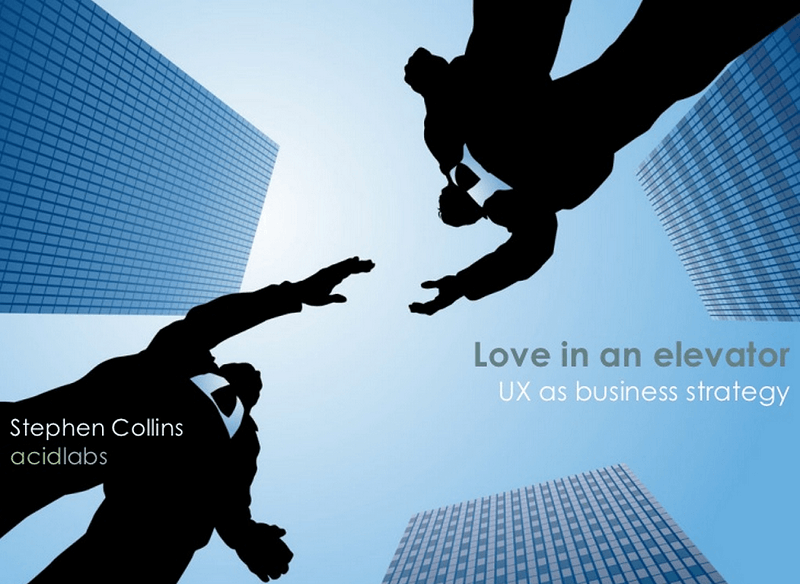 Inversely, a well-designed UX can increase conversion rate and boost an entrepreneur’s profit. 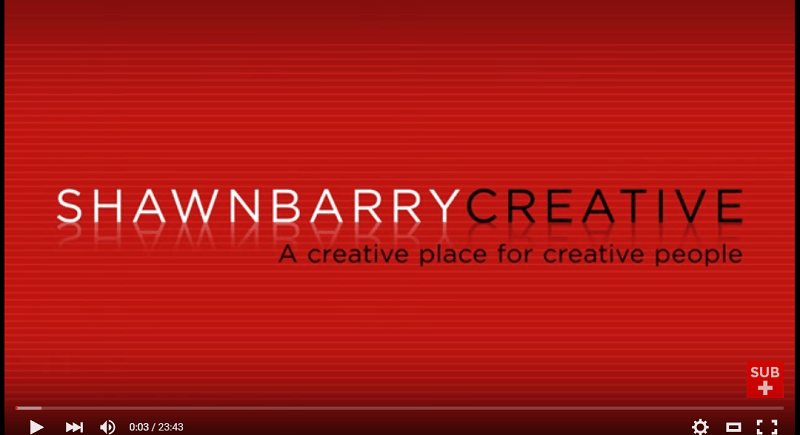 This compilation of video tutorials will be interesting for those who are going to learn the basics of web design. It will be a really great starting point for amateurs striving to become experts one day. 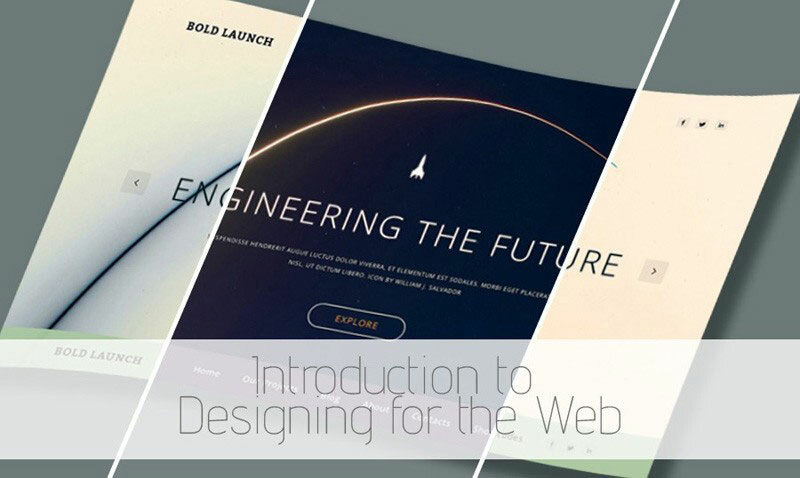 This educational course will show you exactly what good web design is and what might be considered not so good, too. You will be able to view a number of techniques including layout, typography, styling, color, imagery, usability, branding, calls to action as well as some other principles that will help you design professional sites. Eight tutorials by Paul Boag will teach you some fundamentals based on the greatest designs found on TemplateMonster. Paul is a well-known expert in digital transformation with many years of experience in this sphere (over 20 years now). There are still some designers who don’t know the link between a typography and user experience. 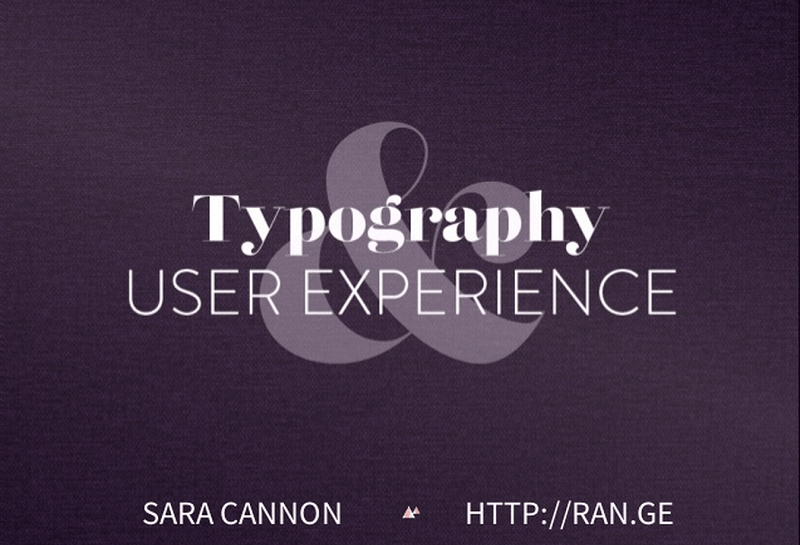 If you are one of these designers, you should check out Sara Cannon as she explains how bad typography can lead to a nightmarish user experience. You will certainly be enlightened on the various roles typography has on the overall user experience. For one thing, good typography can set the tone and guide a user if it is properly used in a website. At times, it just doesn’t contribute; it is a takeaway, too! In this tutorial, content strategist Stephen Hay explains how a good UX design can enable a website into a force to be reckoned with in the market. This is especially helpful to business-related websites. 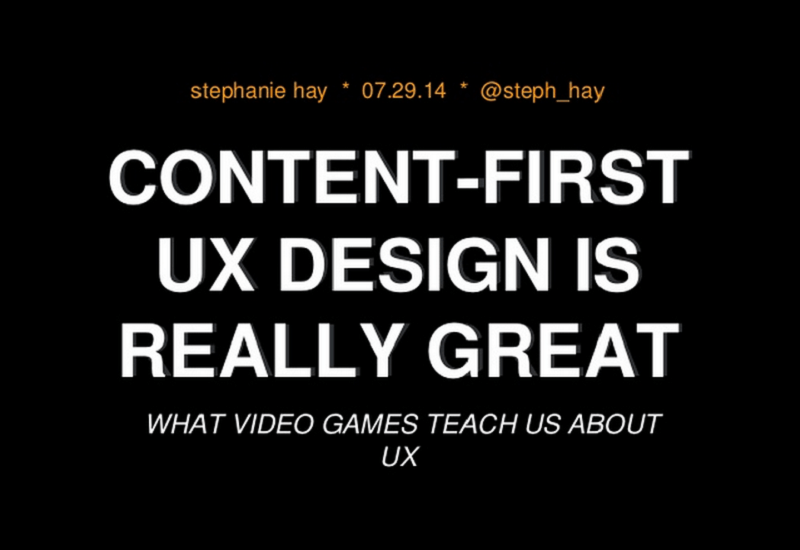 Stephen Hay points out that, without a UX, a website may be at the tail-end of a game. He educates web designers and business owners on the importance of a content-first UX design and contextual learning. A serious web designer is committed to delivering the best user experience to its audience and users in every way possible. However, there are several myths that professional UX designers should be familiar with so that they can avoid them and work efficiently. And this tutorial will set the facts straight. This tutorial also clearly explains the importance of each step in the whole process. Shawn Barry enlightens designers on the importance of UX when a user visits a website. This will surely make you aware why it is important for you to deliver what your website has promised and its subject matter. This way, your audience can experience your site the way they expected it to be. In addition to all that, this tutorial will surely enable you to be more committed to providing your audience a great user experience. If you are still undecided whether you should go for Sketch or remain loyal to Photoshop, this tutorial will help you arrive at a decision. 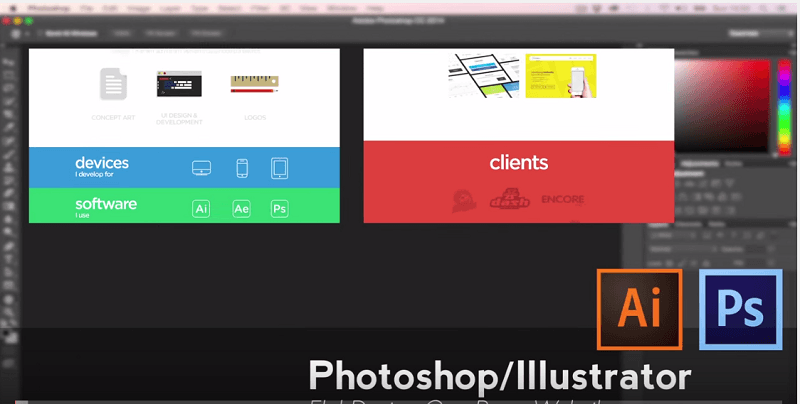 The 2015 release of Photoshop CC has many impressive features for web, UI/UX, and app design. One of its new features, Artboards, allows you to come up with numerous layouts in a single Photoshop document. On the other hand, Device Preview enables you to preview your design in real time on any iOS device. 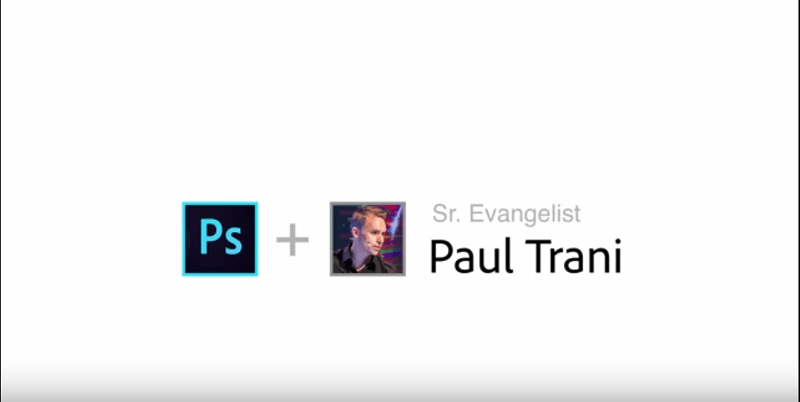 Adobe Evangelist Paul Trani will surely leave you in the know of the latest from this version of Photoshop. This is not really a tutorial but Don Norman, the author of The Design of Everyday Things, has a lot of wisdom about design. He talks about visual, behavioral, and reflective design and their effect to our emotions. He said that design that touches people’s emotions is most definitely needed to succeed. So if you want deeper insight into this topic, this video is a good place to start. Are you having a hard time coming up with an idea for your next design? 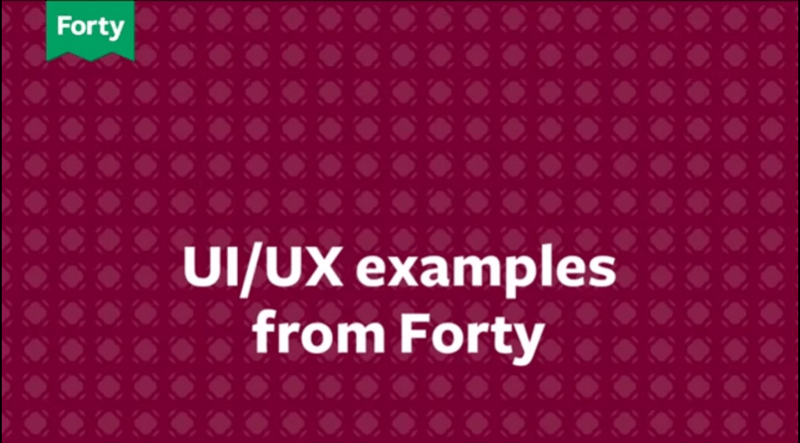 Forty UI/UX Design Examples might just give you the best inspiration for your next project. The video starts with the basics of UI/UX designs and goes on with some tips on how to do it properly. It also reiterates that a good user experience should be anchored on the people who will use the website and not on the specs, encouraging web designers to rethink a design from people’s point of view. This SlideShare is meant for a group of entrepreneurs with inadequate knowledge and insight of the web design process. This can help entrepreneurs come up with an idea that they will demand from their would-be web designers. 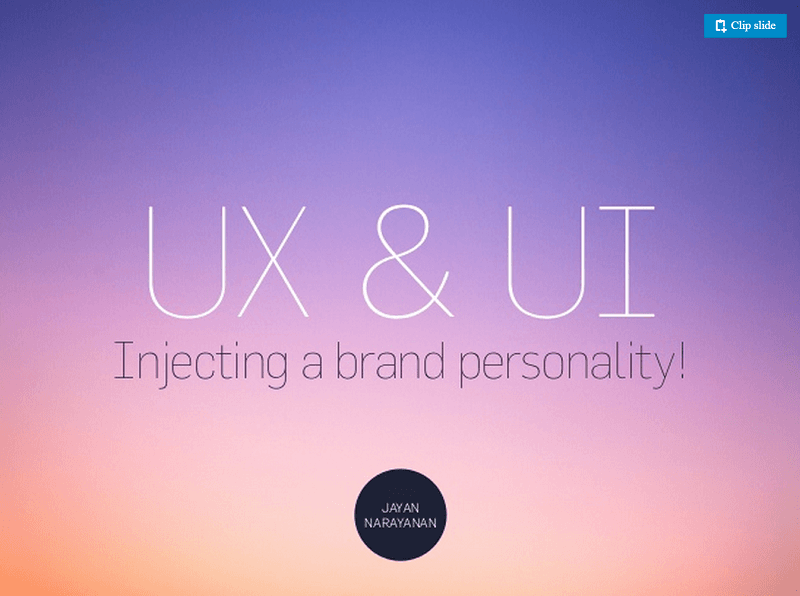 If you are planning to put up a website for your own business, checking this will surely help you in more ways than one, as Jayan Narayanan explains in detail not only the concepts of UI and UX but their overall impact on a brand experience, too. This video showcases a consultancy using LeanUX, Agile and Design thinking methodologies that provide UX insights, strategies, and ideation discussed by John Whalen. It is based on the collective opinion and suggestions of startups and large enterprises seeking to produce the right product faster. You can certainly come up with a balanced design as John is esteemed for his understanding of audience perspective and finding the ideal balance between user experience, business needs, and technological possibilities. Derek Featherstone gives you a clearer idea on what accessibility is and its impacts on people with disabilities using the web. 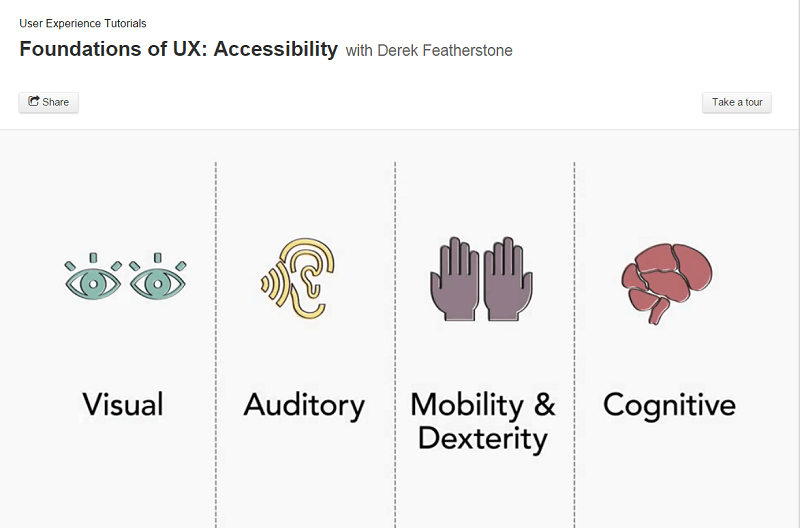 This will also help you familiarize with many accessibility concepts and their importance to web designers. If you want to learn how to develop assistive technology apps for people with disabilities, this can help you in many ways. You will certainly learn many accessibility concepts and their relevance to you as a web designer. This is the third installment of the UX design techniques series discussed by Chris Nodder. Here, you will learn how to use the data that you have gathered from customer interactions and previous site visits. These will help you create a picture of the users that your design is aimed at. Furthermore, the interface of your design will become more coherent and focused as the common understanding will ensure that everybody in the design team is creating a design for the same people. This video features Nick Butcher, Adam Koch, and Roman Nurik discussing the many elements of Android design. In this particular video, they give a run-through of the top ten most common user experience issues. Ferdi Armagan will surely enhance your knowledge on Material Design, the latest design trend set by Google. You will be guided on how to use the documentation and how to design the assets that are needed so that you can successfully use Material Design in line with the guidelines set by Google. Ferdi also discusses how to create icons within the Photoshop and Illustrator environments, add the characteristic shadows from material design, interface design, typography, and much more. Are you entertaining the idea of switching to Sketch and abandoning Photoshop for good? Well, you surely need to see the 33 video tutorials by LevelUpTuts. Without question, this is the most complete and comprehensive tutorial for designers who want to take a new path in web designing. These series of video tutorials will get you to know Sketch, understand Artboards, pages, styling shapes, grids and layouts, alignment and distribution, shapes in Sketch 3, creating and using symbols, iOS and design UI tools, Foundation 5 UI kit, Bootstrap 3 UI kit, installing and using plugins, dynamic buttons, shortcuts, creating GIFs, and much more. Is Agile compatible with Modern UX? Andrew Mottaz, CTO and Founder at Site9, Inc. answers this question and discusses lean UX, shared understanding, shared understanding stories of user experiences, how to create shared understanding, examples of user testing, and many more topics in this SlideShare. 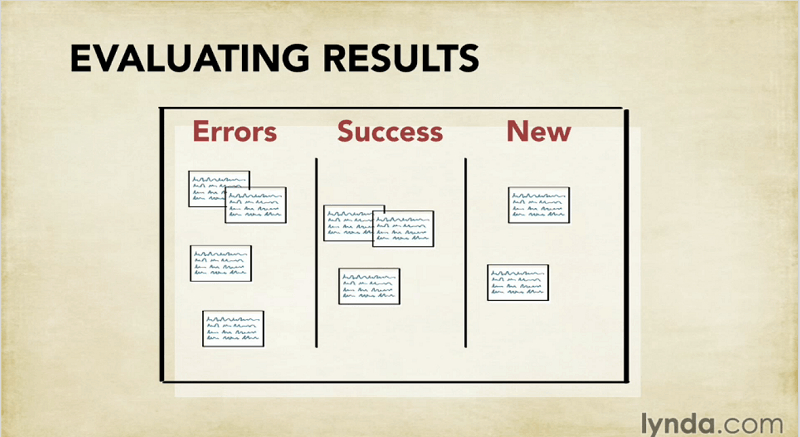 This came from Mike Donahue’s talk at the UXPA2014 Conference held in London, which was attended by some of the most brilliant minds in the industry. Mike emphasizes the importance of making a connection with the audience or users on a deep emotional level. He strongly believes that in order for you to come up with a great and effective user experience, you need to target emotions. 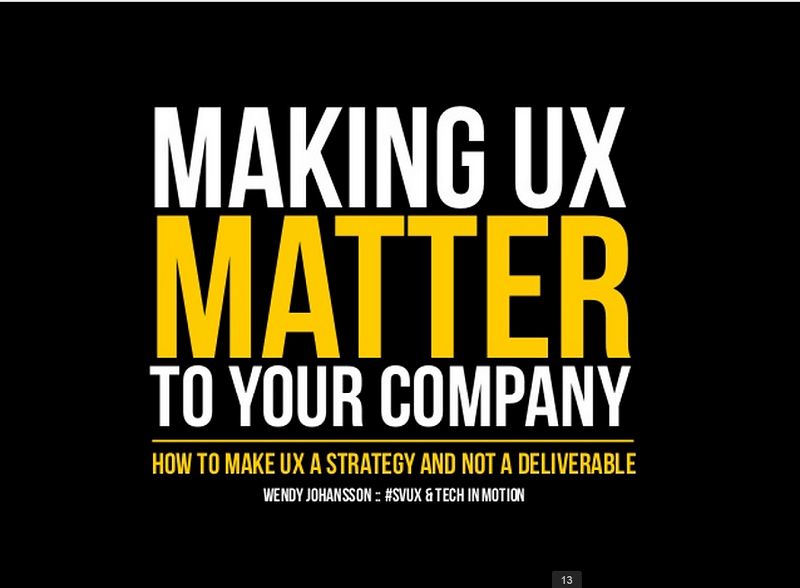 Make UX a strategy, not a deliverable. This is the core of the message of Design and Brand at Wizeline Director of User Experience, Wendy Johansson. 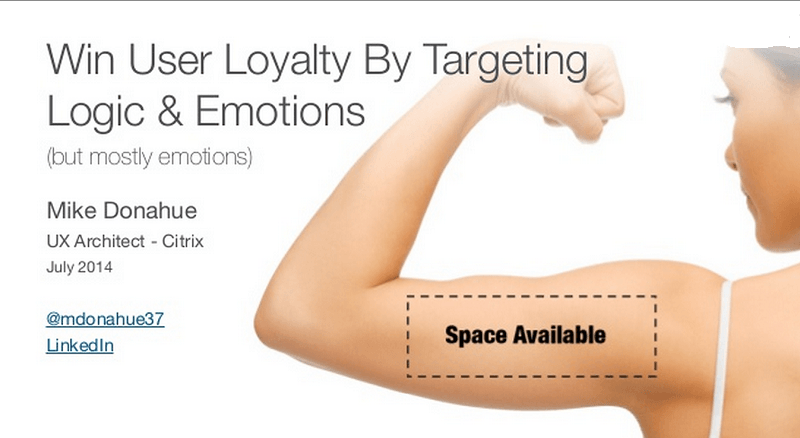 She discussed this topic at the Silicon Valley UX Meetup held on April 14, 2013. There is no denying that this will be a great help to designers who are in a quandary on how to integrate UX in their designs. Needless to say, user experience is different for every user, and everything is dependent on how each one experiences a website. As a UX designer, you should develop or promote certain experiences that can elicit a positive reaction and experience from the user. Whether you’re a newbie in web designing or already a seasoned one, you can surely find one tutorial above that will help you become a better UX designer in more ways than one.